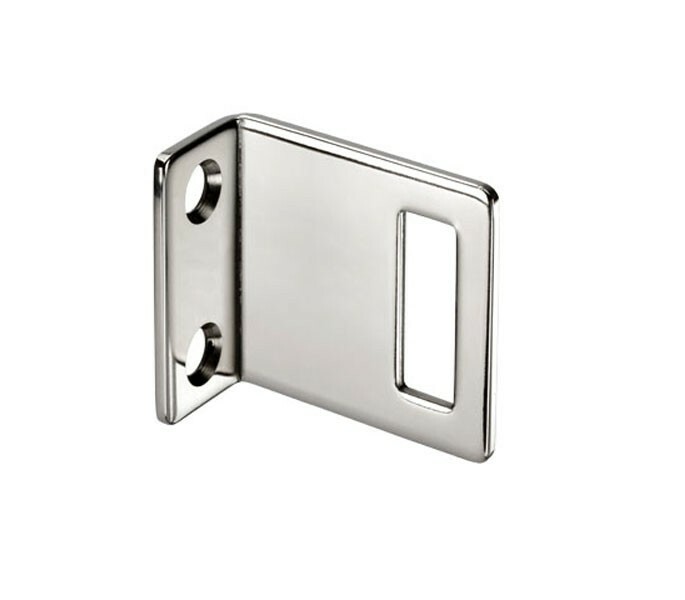 This cubicle lock keep is the perfect solution for those looking to install an ‘L’ shaped cubicle lock keep on an open-in cubicle door. 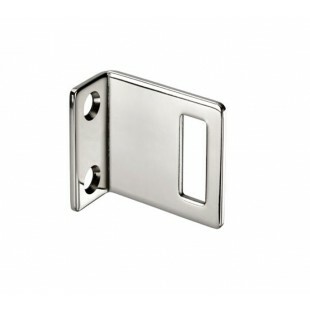 This product is suitable for fitting to 13mm board and is finished in grade 304 polished stainless steel for a high quality and low maintenance finish which complements our complete range of polished stainless steel cubicle hardware. Our toilet cubicle lock keep is supplied complete with two 8mm black rubber buffers, to ensure the keep is aligned with the lock bolt when fitting and reduce the possibility of finger trapping.